It doesn’t stop there. Science has also made us aware of other benefits and body cheats that can be exploited with an early wake-up. Exercising early in the day, particularly before eating, can burn 20% more fat than an afternoon workout. And of course, there are a ton of practical benefits, from creating more time to eat a proper breakfast to clearing up after yourself so that your return home in the evening will be more peaceful — and that positive mood you woke with can be extended up until bedtime. But the best thing of all is that science doesn’t just remind us why we should make the effort to get out of bed early — it also provides a helping hand to do so. Leaving the curtains open at night, for example, helps the sunlight to reach us in the mornings as nature intended, gradually resetting our body clock without any effort on our own part. 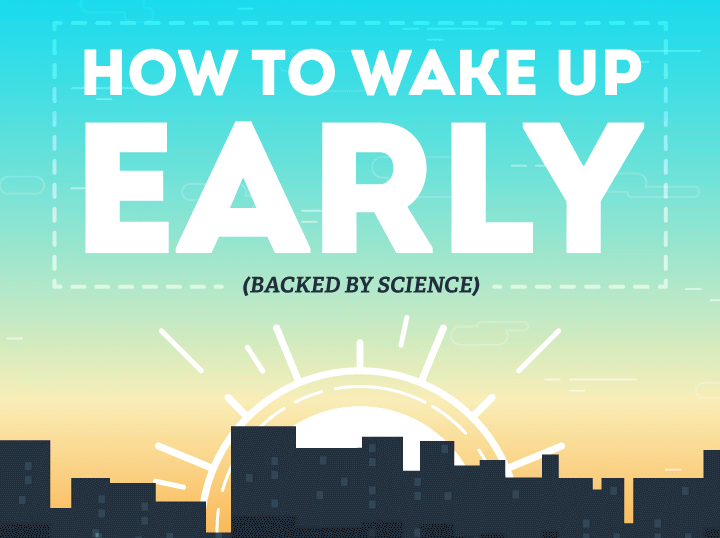 For a host of similarly achievable tips, check out this new infographic which is packed with the science of waking up early. Integrating these techniques into your routine should be no problem at all — and science has already shown that they should bring great results.